Dr. Sandy Christiansen of Care Net points out multiple problems in a new BMJ study claiming the abortion pill is safe to use at home. FILE - This Sept. 22, 2010 file photo shows bottles of the abortion-inducing drug RU-486 in Des Moines, Iowa. Are at-home abortions safe for women? The leader of a new study published Tuesday claims they are. But the medical consultant for a nationwide network of pregnancy centers disagrees. “Self-sourced medical abortion that’s entirely outside the formal health care system can be safe and effective,” Dr. Abigail Aiken told the Associated Press. Aiken, assistant professor at the University of Texas at Austin, led the study. The British Medical Journal (BMJ) tracked 1,000 women in Ireland and Northern Ireland. Women obtained the drugs mifepristone and misoprostol (the “abortion pill”) from a website. Participants receive the drugs by mail and completed their chemical abortions at home. Less than 10 percent reported symptoms of complications. Does this mean medical professionals should condone at-home chemical abortions? The Stream spoke with Dr. Sandy Christiansen, National Medical Consultant for Care Net. Care Net is a pro-life organization supporting a large network of U.S. pregnancy centers. According to Christiansen, at-home chemical abortions are unwise for several reasons. The Stream: Dr. Aiken claimed at-home abortions with the abortion pill “can be safe and effective.” She also said “women are very capable of managing their own abortions.” Is this correct? Dr. Sandy Christiansen: This isn’t is a question of capacity. Women are remarkable and highly capable people. The real question at hand: is this practice safe and is it wise? Wisdom involves applying knowledge in a prudent and thoughtful manner. The procedure followed in the BMJ study fails on both counts. Wisdom involves applying knowledge in a prudent and thoughtful manner. The procedure followed in the BMJ study fails on both counts. As an OB/GYN physician, I can tell you that I would never perform an invasive procedure on any patient. Much less a pregnant woman without knowing precisely how far along in her pregnancy she is. Relying solely upon a telephone/video call interview to date a woman’s pregnancy before prescribing an abortion is malpractice, in my opinion. The BMJ article noted an increased failure rate with increasing gestational age. This has been previously demonstrated in earlier studies. The article admitted the true gestational age of the pregnancy may be incorrect in some cases. So a woman who is supposedly nine weeks pregnant could actually be further along. This exposes her to increased risks. There is no way to rule out an ectopic (tubal) pregnancy through a phone interview alone. Approximately two percent of pregnancies are ectopic in location. This means that the baby has implanted outside the uterus. It is vital that this condition get diagnosed as soon as possible. This could prevent potential complications like internal bleeding. TS: Abortion advocates are bringing more and more attention to the use of the abortion pill. Have Care Net centers seen a recent spike in interest and/or questions about abortion pills as an option? 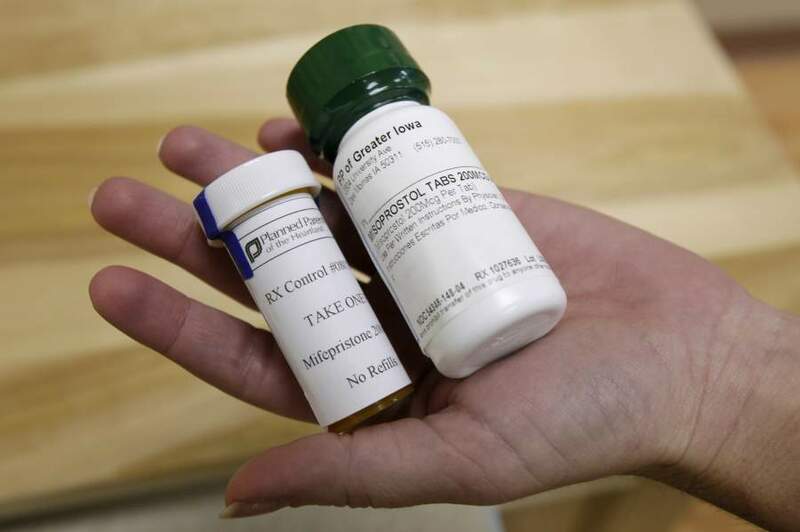 SC: Medication abortion accounted for 45 percent of all abortions under nine weeks gestation in 2014. That’s according to the Guttmacher Institute. This is an enormous increase since the mifepristone/misoprostol abortion regimen was first approved by the FDA. Certainly, pregnancy centers are seeing a reflection of that increase. TS: Last month the organization Women Help Women launched a new website. The site helps women conduct at-home chemical abortions. Do sites like this pose a danger to women? How? SC: Yes, websites like these pose a significant danger to women and do not have their best interests at heart. The FDA posts clear warnings about buying this particular drug over the internet. It notes that doing so bypasses important safeguards. Mifeprex is only distributed to authorized prescribers through a restricted program. The FDA implemented this in response to a number of deaths that occurred among women who had taken the abortion pill regimen. Several of them died of overwhelming sepsis caused by the bacteria Clostridium sordellii. TS: What are important facts about the abortion pill pro-life advocates should know? SC: Taking the abortion pill is not just like a miscarriage (as the Women Help Women website claims). It carries the potential for significant risks and complications. There is a risk that the regimen will fail to abort the pregnancy. In this case, the woman is usually offered a surgical abortion, more abortion pills, or watching and waiting to see what will happen. At 10 weeks last menstrual period (LMP), the failure rate of the abortion pill is approximately seven percent. That’s 22,000 women a year. Data are lacking about the psychological impact of “giving yourself” an abortion and seeing baby parts in the toilet. How can anyone say this is good medicine? The FDA has extended the gestational age when this regimen may be used. Now women who are 10 weeks pregnant LMP may take these drugs to abort their babies. A fetus that is 10 weeks LMP has a fully recognizable human structure with arms, legs, hands, and toes. Data are lacking about the psychological impact of “giving yourself” an abortion and seeing baby parts in the toilet. How can anyone say this is good medicine?